Connectivity is king. For the experience of those attending, to those delivering the event and those watching from afar. In the last 10 years connectivity has migrated from a nice to have to a critical system for any event that wants to engage with its audience and deliver effectively. Good connectivity presents itself in several ways. Unfortunately for the organiser it’s critical to have an understanding of these aspects, just as they have an understanding of their audience or how many tickets have been sold. When considering connectivity, it helps to be clear with those who you want to consider and those who you don’t. The Organiser – local networks and the associated internet connectivity are critical for an organising team to work. Bandwidth here can normally be quickly estimated since it’s a known quantity. Cloud systems such as Dropbox and Office 365 increase requirements but are manageable even on small internet services. Systems such as Skype or more advanced video conferencing which are more common now when working with international committees, can dramatically increase requirements. The Sponsor – the majority of activations now require some kind of high-quality connectivity. Engaging the sponsor is one thing, showing them what is possible or what can be supported with the right connectivity is next. For overlay locations local cellular (4G) services may be sufficient but within high volume areas these will most likely struggle to deliver significant bandwidth. For many events connectivity in this space is an afterthought which is problematic and expensive. Proactive discussions with sponsors at the start of any engagement will help identify what’s required and the most effective method of delivery. The Press – considering the media appetite for the internet can make or break an event. Print media need to move images, which can be managed, but those who require outside broadcast type services generally either look to the event to help or use their own broadcast vehicles. Broadcast vehicles can be expensive so generally the approach of delivering onsite bandwidth means that more content can be pushed. The Partners – bars (cashless) ticketing etc. Anyone who works with the organisers to deliver their part of the event. Smart tenders can mean issues relating to connectivity becomes the partners problem but many times this will add significantly to cost because everyone is doing their own thing. In many cases a shared service is preferred, like power. Cashless services are critical to processing payments. Fast, secure, effective transactions are expected. The Attendee – normally the final piece of the puzzle. Leading events are now looking to this group first, to encourage engagement and legacy, in which case services such as viewing replays, concession service to seats, emergency messaging, are all common. 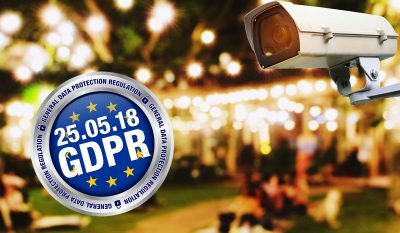 The network and internet required to carry attendees data can be significant, again, more lead time means more efficiencies. If attendees are not part of scope, then cellular carriers are the best route to providing a level of connectivity. For any organiser the technical side of events continues to grow, and they must add this to their ‘toolkit’ of knowledge and experience. Just as with ticketing, marketing or venue selection, it’s critical that those in senior positions understand what is being done, what the possible risks are and what their strategy is. Pretty much every day I’m either asked or told about the way 5G is going to ‘change everything’. I’m currently sitting on a train on my way into Paddington and my 4G connection has dropped multiple times and when it is connected the speed varies from a trickle to occasional bursts that reflect the speeds I would expect on 4G. We all crave ubiquitous connectivity at a good speed but the reality is somewhat behind the hype. I’m reading yet another article saying that 5G will deliver speeds in excess of 20Gbps and I’ll be able to download a HD movie in a few seconds. Ridiculous claims which accompany most technology launches – the claims for 4G were 1Gbps but the experience, in the best case, is at least a magnitude lower. We have come a long way from GPRS when any data access was painfully slow but each technology step forward becomes more complex, more costly and delivers less of a step function change to the user. In reality when 5G is deployed into the world it will meet a mixture of technical and commercial challenges which will reduce the hype to more of a ‘4G evolution’ – it will be better, and that’s great, but not the revolution promised, at least not initially. One of the problems is that 5G needs to operate across multiple frequencies. This is not a new technical challenge, the same type of approach is used for 3G and 4G networks, however, some of the frequencies required to make 5G work are much higher up in the spectrum, known as millimetre waves (mmwaves). These very high frequencies are where the headline speeds of 20Gbps come from, but there is a problem – these very high frequencies require line of sight to the mobile device and are heavily impacted by rain, trees, buildings, etc. Millimetre waves also have a low range so the deployment of the infrastructure is complex and requires many more antennas (base stations or cell towers) than the lower frequencies of today. It’s also worth noting that new handsets will be required to use these new frequencies so there will be a long period where many devices will not have the required circuitry inside to make use of the higher speeds. If you consider that today a good example of 4G may deliver 10-50Mbps depending on various factors, it is expected that 5G may reach 100-200Mbps in similar circumstances – that’s a good increase but it isn’t 20Gbps, and it certainly will not be available widely, not in the short to medium term. As for remote locations they will be stuck on the lower frequencies which will restrict what can be offered. As with Wi-Fi the connection speed is only half the problem, the backhaul internet connection is just as important and to support many users all expecting 5G speeds of 100Mbps requires a massive upgrade to the supporting fibre and wireless backhaul networks. Ignoring the significant cost implications of all this the practicalities of deploying the infrastructure is going to take time and it is expected that it will be at least 2022 before we see any serious progress on 5G. The first thing to note is that on mobile devices over 60% of data traffic is carried over Wi-Fi networks rather than the mobile networks and that figure has grown, not shrunk, over the last few years. With mobile operators still recovering the cost of a 4G infrastructure, now faced with an even more expensive 5G infrastructure, the data plans are not going to get any cheaper so the cost conscious consumer will still hunt out Wi-Fi wherever possible. Although a 5G speed of 200Mbps sounds great a good Wi-Fi network today can deliver speeds well over 200Mbps and already approved Wi-Fi standards go much further (The existing 802.11ac standard goes up to 3.45Gbps) so for the really serious data users Wi-Fi will remain the primary choice. It’s not a case of 5G versus Wi-Fi, both will co-exist – they are designed differently for different purposes – but in the event space Wi-Fi will be continue to be a pre-requisite for many years yet. As with 4G the initial deployments of 5G will be focused on cities with a high density of users, less dense areas will be some way off and of course the countryside fields used for many outdoor events will be no better served than they are today as commercially it makes no sense unless a particular sponsor wants to put in temporary masts. With the low range nature of the high frequency 5G spectrum what this does mean is that indoor venues such as conference centres could well be a target for early deployments given the business orientated footfall who are more likely to have handsets capable of using the 5G network. Another good example would be large stadiums but, in a similar way to Wi-Fi, in these locations the cost of infrastructure to support the density of users is significant so it will come down to who will pay. Venue owners who want mobile coverage to be good in their venue but expect the mobile operators to pay have to consider that mobile operators can struggle to recoup the costs of a dedicated install as they generate no additional revenue from it. The use of shared infrastructure between mobile operators may help this but it doesn’t change the fact that someone has to pay. Once 3G reached wide deployment then it became a viable option for using it to provide the backhaul internet connection in some circumstances with Wi-Fi as the access medium. 4G continued that trend and 5G will go further but limitations still apply. 5G is a shared medium so overall performance will depend on other users unless dedicated bandwidth is offered (something that is hard to do on 4G), so in an event environment as the number of attendees goes up the performance goes down. With 4G operators have been reluctant to offer dedicated bandwidth over their infrastructure, something that would be fantastic for events. Perhaps this will change with 5G but even then, with the price of dedicated fibre circuits continuing to fall, shared services such as FTTP (Fibre To The Premise) now becoming available and improving Wireless Internet Service Provider (WISP) offerings the pricing from the mobile operators would have to be very competitive. Without any guaranteed bandwidth then 5G is no different to 4G which means that it is fine for general use but if the performance is critical then there are no guarantees. You would not want to risk your ticketing, payment systems, video streams and core control systems on a mobile network over which you have no control but for less critical services it may be an option. Over time 5G will provide another option in the event toolbag as a step forward from 4G but its real benefit will be to the truly mobile individual user and then hopefully on a train journey into London I can get a consistent 20Mbps all the way, but I fear that ideal is still quite a few years away. ‘Robust Internet for Events’ was our topic of choice when I sat with Craig Mathie, MD of the Bournemouth Rugby Sevens event, a few weeks ago for an open forum at Event Tech Live in the Truman Brewery. Around 30 people joined us from a range of events to cover what many people think is the ‘boring’ side of internet at events, primarily because it should already be sorted, just like power and water, but in many cases it is not. One thing that I love about events, but is also the most challenging, is that most of the time we are starting, in some respect, from scratch. The event team might know how to plan an event but it’s probably a new venue, or a new team in the venue, or a new green field site, or a new sponsor. Something is always changing and because of that, even on the ‘basics’ side it is critical to consider key elements. What’s the best type of internet for my event? Rather like what’s the best type of car for my family, it depends on what you are trying to do and by when. 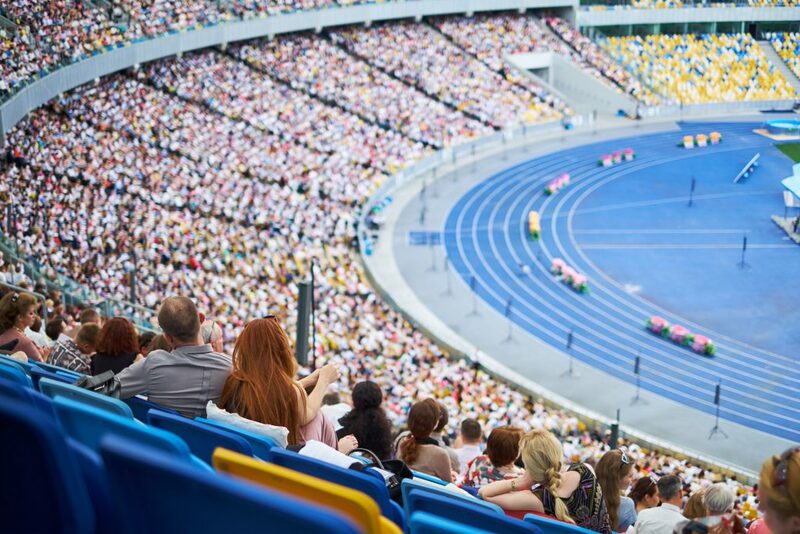 I went through some examples of venues which are well known for their events, so they have invested in high speed connectivity, such as a leased line which means that over three years the service is cheaper to the event delivering the best speeds. For a new site, or one with short notice, we tend to bring in internet wirelessly from another location, or using copper services (which are mostly for the consumer market but can work in a pinch) or satellite. Does whole venue or site wide Wi-Fi work? Yes. If you want site wide Wi-Fi it can be delivered no problem. It is technically difficult but hey – that’s why you work with Etherlive! Venue wise it’s generally simpler to install, outdoors can be a bit more complicated but still very achievable if planned appropriately. Yes. There is no reason for any technical issues with deploying contactless systems. Reports of issues are generally related to the devices themselves rather than the connectivity. Isn’t 5G going to remove the need for Wi-Fi on site? No. 5G, like 4G and others before it are great technologies just with better and bigger marketing budgets. Cellular technology (of which 5G is the latest standard) is designed to provide high speed connections for large populations, like towns, so it’s not designed to handle a very high peak of people in a specific area. It also isn’t really ‘supported’ like events need (have you ever tried to phone a mobile phone operator, complain about service in an area, and get an engineer to attend?). 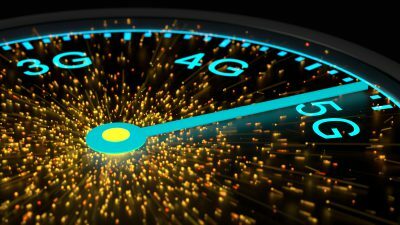 One advantage when 5G is introduced will be devices having another network option to connect – this will free up some of the 4G (and 3G) service. Making Event Magic Happen – A Career in Events? You can get a great buzz out of attending a good event, and if you organise it the buzz is even better. 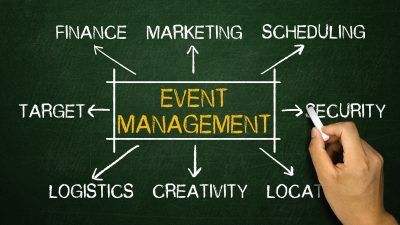 Every successful event requires a team of dedicated professionals with a range of skills but often the event industry isn’t considered as a career choice. At the recent ESSA (Event Supplier and Services Association) AGM a fantastic video was shown about working in the events industry. It really speaks to how passionate those of us in the industry are about making event magic happen, mostly behind the scenes working with festivals, exhibitions, corporate launches, sporting events and one-off special events like a Royal Wedding! We welcomed our 4th full year intern last year, and this year we will be taking on two more to support our growing engineering teams in the field. For the first time this year we also have an apprentice, a great way to get exposure in the events world, so if you know anyone looking to take that first step don’t forget about the events industry. Of course, those with more experience are just as welcome, our company like many others is built on the years of experience gaining from all quarters including large and small companies. We do all have one thing in common, we are one team and we love events!